Ecuador is situated at the northwest part of South America. Due its location at the equator, the country has little variation in daylight hours during the year. Hence allowing Ecuadorians to enjoy perfect spring-like weather year round. Due to the warm weather in the country there are many celebrations and happenings that take place outdoors during Christmas season. 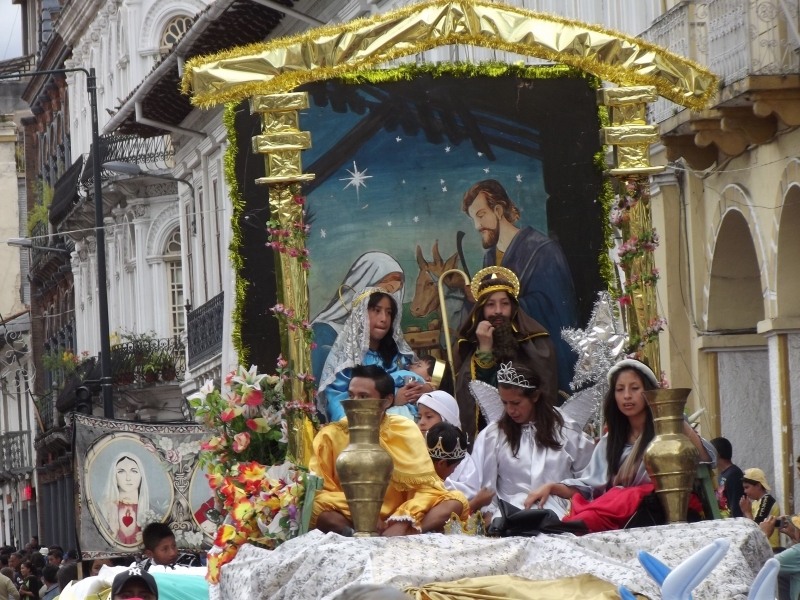 Christmas traditions in Ecuador include parades, dances and firework displays. 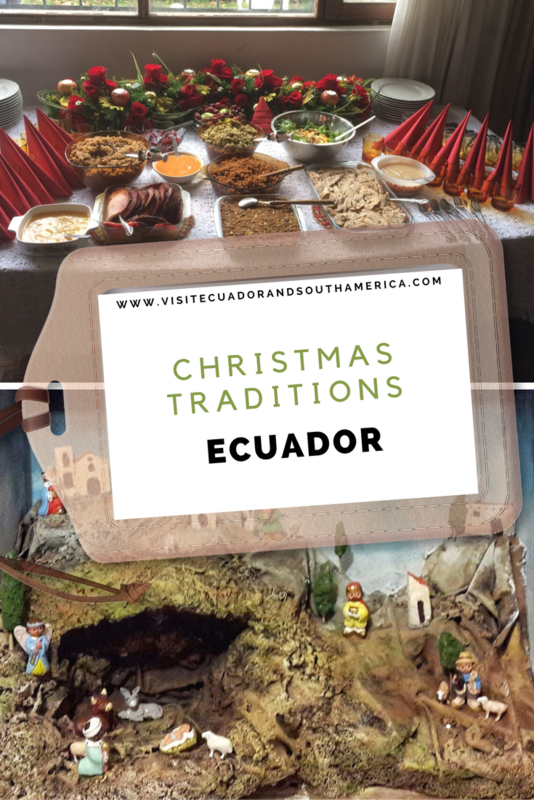 Hereby, I am going to name some of the most known and commonly practiced Christmas traditions in Ecuador. First of all we have novenas every December. 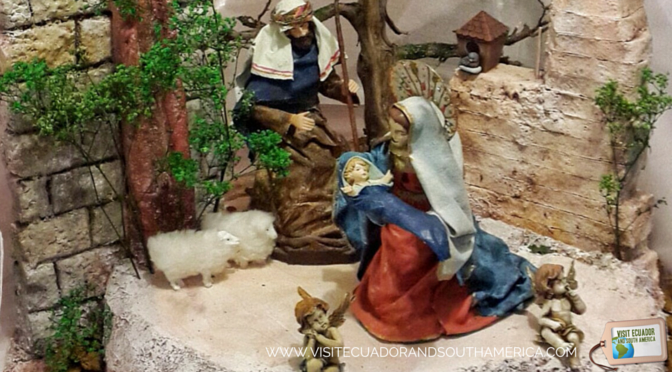 In Ecuador, the Christmas season starts with a tradition called “novena” the 15th of December. The name “novena” refers to the 9 days of preparation for the birth of Jesus Christ. Furthermore, it is time for families, neighbors or groups of friends to gather, each night in a different house, to pray, sing carols and eat together. At the same time traditional Christmas carols can be heard in shopping centers, schools, restaurants and other large venues, denoting the start of the season. Since most of the country’s inhabitants are Catholic, traditions are linked to religion and are dedicated to celebrating the birth of Jesus Christ. 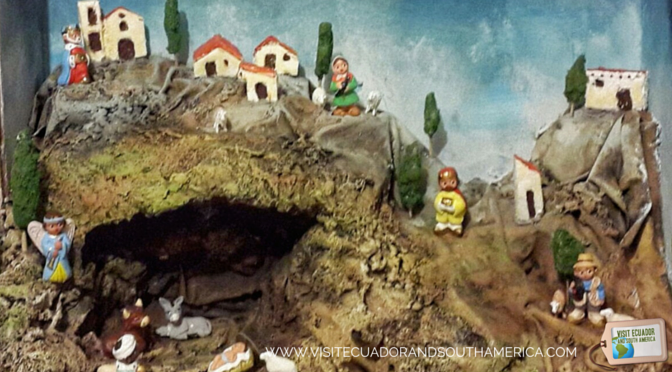 Traditions such as “el Pase del Niño” can be experienced in the colonial city of Cuenca in the South of Ecuador. Some of them are unique to the country. 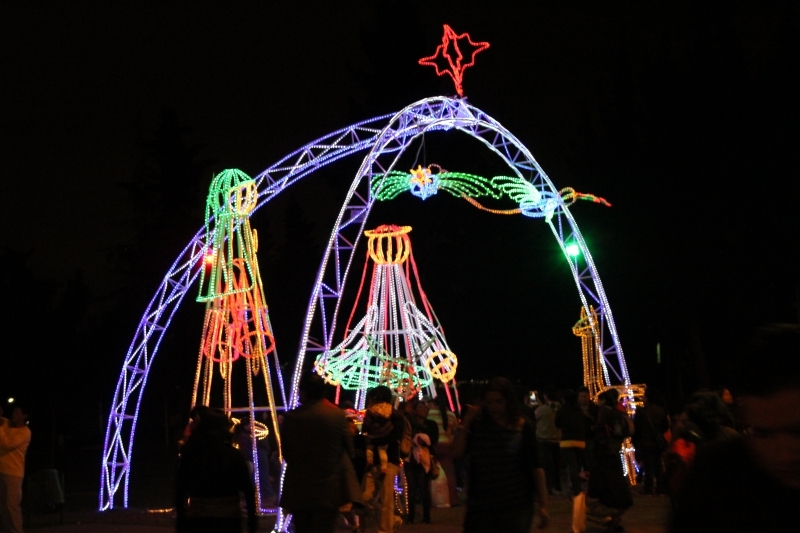 “El pase del Niño” is a colorful procession depicting the journey of Mary and Joseph to the town of Bethlehem where musicians lead carriages and trucks along main streets. I have seldom not found a nativity decorating the living room of a friend’s or family’s house during Christmas. Most Ecuadorian homes it is also quite common to find nativities which are a visual representations or collections of figures depicting the birth of Christ, a tradition so deep in the culture of Ecuadorians that during Christmas there are nativity contests and even a large nativity located on one of the main lookout points of the capital city, Quito, making it an important and easily spotted part of the city skyline. Nativities for decoration on the other hand is something to be found in many places around the world, I recommend that you take a look at this book gathering nearly one hundred nativities from all over the world – Nativities of the World. This tradition includes us attending to “misa de gallo”, or midnight mass, on the 24th of December. This takes place after we savor the delicious traditional dinner. For us Christmas dinner includes stuffed turkey or chicken, raisins, rice or potatoes, salads and wine. Is there some tradition in your country similar to ours? Tell me all about it! I love learning about other cultures around the world! In America, Christmas seems to start in the middle of October because that is when they start putting the decorations out with the Halloween stuff. Fancy having the same weather all year around!